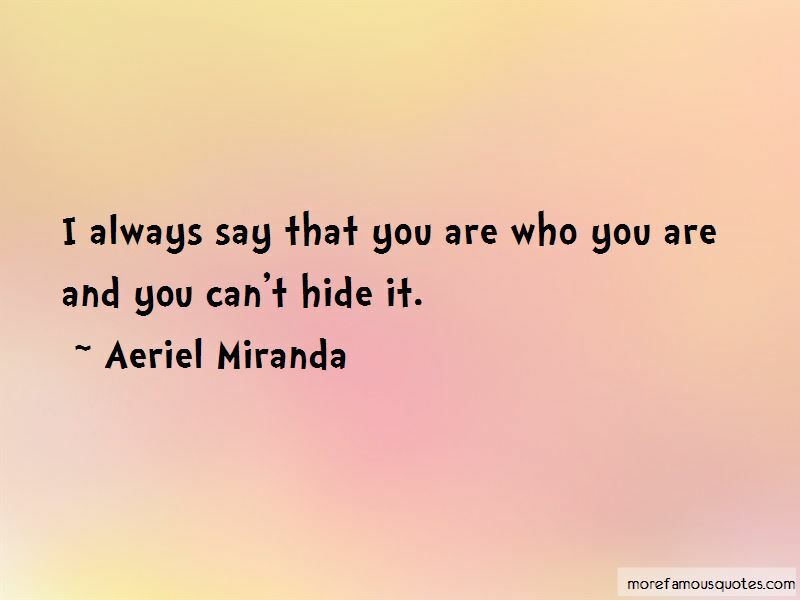 Enjoy the top 65 famous quotes, sayings and quotations by Aeriel Miranda. I'm becoming more and more of a social media participant, so of course I can always be found everywhere from Twitter to Insta to Facebook. I think it's a beautiful thing how Hip Hop is received by the world. When the passion isn't there, the drive isn't there and it just doesn't last for me. I've had friends get mad at me for not posting what they think I should post on Instagram on behalf of them or our relation. I've had people question my "integrity" based off of something I didn't post on social media, the list goes on. It's mind boggling. Life would continue to exist and grow. Cause and effect still exist even where there is no time. Social media is driving the culture, it drives peoples minds literally. It feels good to watch TV and know that you're being represented on somebody's network and for certain communities, it feels even better to know that you're being depicted truthfully. I soak up personalities and energy. I can identify with anything because truthfully everything that makes up the world is characterized in some way in my family I feel, so my empathy is strong for mankind in general. Want to see more pictures of Aeriel Miranda quotes? 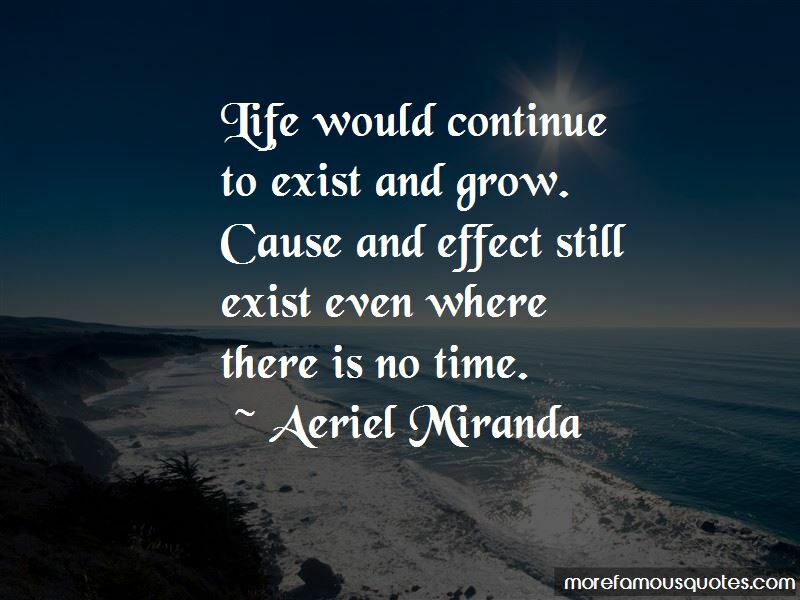 Click on image of Aeriel Miranda quotes to view full size.